There are two ways to get video promotion for your book. You can create a book video that is meant to be entertaining and place it on user-generated video upload sites such as YouTube or MySpace. From there you hope others will see it and then share it with friends, thus making it viral. You can create a book video ad and pay for placement. Your video is going to look different, perform differently and be viewed differently according to where you place the video. Viral videos, those that are made and uploaded for free to social media sites have to have an element of entertainment to them. Social media sites are meant to be “social”, they are not meant to be advertisement platforms. The argument can be, and has been, made that all book video are ads. Keep in mind that all music videos are ads as well. Yet, it is easy to forget that and look at music videos as an entertainment or art form. Book videos should have an element of entertainment to them if you want them to go viral. How do you make an ad entertaining? First of all you want it to NOT look like a commercial. If you make it 15 or 30 seconds long it is going to look like and acts like a commercial. People on social media sites are becoming more and more savvy. They will look at that and know that you just can’t afford proper placement of your commercial so you’re trying to fool them into thinking it’s entertainment, or that you don’t care that you just tricked them into watching a commercial. Like a music video, you need to have a story. People want to know what the story is. You can’t make general statements or claims such as, “This is the greatest story ever told” or “An epic love story unfolds within a mystery” and think that’s going to impress people. You can say those things in your video, but you had best follow it up with telling people what the story is actually about. Include exciting and/or appropriate elements such as music, narration or text, enticing visuals, etc. Make it worth the viewer’s time to watch it. Book video ads are meant to be more informative and factual. People know it is an ad. People know that ads try to sell you something. People are used to seeing ads. Your ad still should be exciting or enticing, but it is going to be brief. The briefer, the better. Most ads are 15 or 30 seconds long. Book video ads are placed in areas where people know they are ads. You can pay for placement on sites like VideoEgg, YouTube (if you can afford it), Viddler or anywhere that allows video ads. They can also play on television or out-of-home advertising. Book video ads should get to the point right away. A book video ad should concentrate efforts toward a single message. The message can focus on who the author is, which is an advantage if the author is already well known. The message can focus on the storyline if the author is not well known, but the story has a good hook, or current, relative message. Monitoring the effectiveness of a book video. Many people are under the impression that the number of views are the greatest measurement of effectiveness for video. That is not true. But, CPM is a well-known, accepted way of charging for ad placement with the number of views being a focal point. 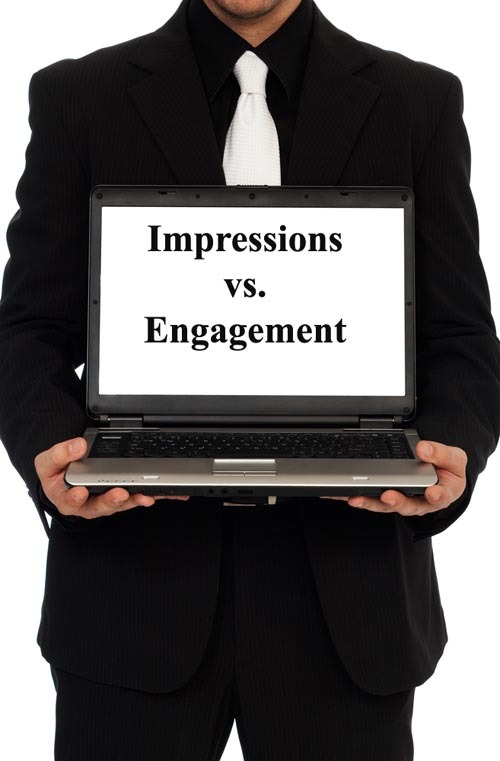 The shift for online marketing needs to, and is in many areas, move away from impressions to engagement. It is the engagement of an ad that is most likely to result in an actual sale. One of the most respected companies that deals in online video, both with ads and viral video, is VideoEgg. YouTube often follows their lead, as do many other video companies. Here you will find a link to a valuable bit of information discussed by VideoEgg CMO, Troy Young. Be sure to read the description next to the video. This is very helpful in understanding where the future of video ads is going. The great thing about VideoEgg’s idea with the rollover/expand option is that the video will still play, but the expanding information would allow graphics and text. Here you could have a picture of the book cover and/or author photo or even photos to represent the storyline of the book. You can also have the back cover copy of something similar, which appeals to traditional readers. The drawback to this is that it is an ad and you have to pay for it. The up-side is that it is pay-per-engagement and not impressions. So, you only pay when someone is motivated enough to click on the ad and activate it. If you are going to go the route of a rollover/expand ad I strongly suggest not using the author’s name as the primary enticement to engage. If it is a well known author then you’re going to get clicks from fans. You don’t need to advertise to fans. You can get to that target audience through easier, less expensive ways. My recommendation is to have the storyline itself be the enticement. 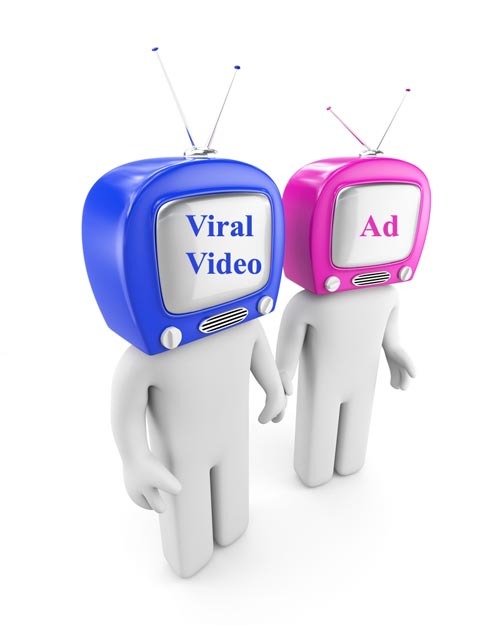 Whether you decide to try a viral video or a book ad it is important to know the difference. It is important to realize that you can’t mix those medias and expect a successful campaign. You need to know what your goal is when you have a video created. Let that goal guide you in whether or not you’re going to go with a viral video or an ad. This entry was posted in book marketing, Book videos, Columns, open publishing and tagged Troy Young, Viddler, video ad, VideoEgg, viral video, YouTube. Bookmark the permalink. The best approach is the first option because you can get viral word of mouth distribution of your video and that can go further then the second option. In addition to YouTube and Myspace you don’t want to ignore commercial sites like Adwido.